Japan is abandoning a quarter-of-a-billion-dollar satellite it sent to study black holes, disappointed space scientists said Thursday, after spending a month trying to save it. The ultra-high-tech "Hitomi"—or eye—was launched in February to find X-rays emanating from black holes and galaxy clusters. But shortly after the expensive kit reached orbit, researchers admitted they had lost control of it and said it was no longer communicating, with agency scientists saying it could have disintegrated. Bosses at Japan Aerospace Exploration Agency (JAXA) set dozens of their brightest minds on the task of salvaging the satellite. But on Thursday they acknowledged defeat and said they were going to have to abandon it. 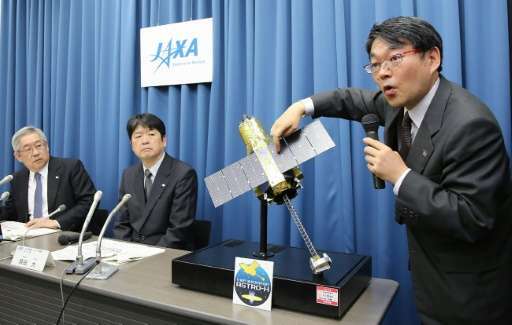 "We concluded that the satellite is in a state in which its functions are not expected to recover," Saku Tsuneta, director general of JAXA's Institute of Space and Astronautical Science, told reporters. "I deeply apologise for abandoning operation" of the satellite, he said. JAXA officials think the solar panels that provide power for the precision instruments might have come adrift, leaving millions of dollars worth of technology drifting uselessly in space. 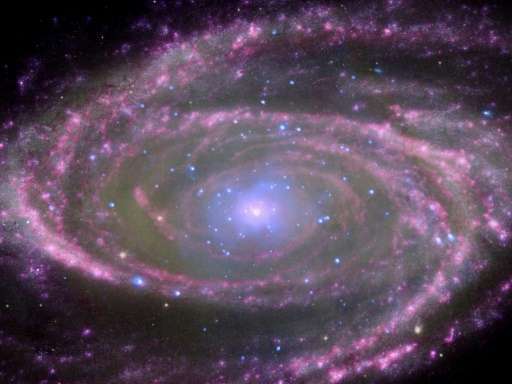 The satellite, developed in collaboration with NASA and other groups, was intended to help unlock the mystery of black holes, phenomena that have never been directly observed. Scientists believe they are huge collapsed stars whose enormous gravitational pull is so strong that nothing can escape. The announcement in February that gravitational waves had been detected for the first time added to evidence of their existence. The next launch of a similar satellite is scheduled in 2028 by the European Space Agency. 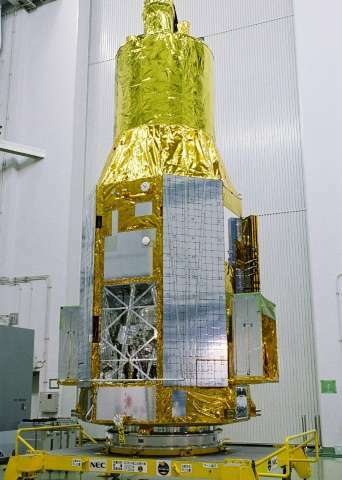 Tsuneta said the loss of the device, which cost 31 billion yen ($273 million), including the cost of launching it, was not only a disappointment for Japan but for overseas astronomers as well who held out high hopes for its success. "We're sorry we cannot respond to the expectations," he said. News of the mission failure was met with gloom in Japan. "It's disappointing," read one tweet. "But I hope they'll learn a lesson and do their best next time." The satellite was launched by the country's mainstay H-IIA rocket from the Tanegashima Space Center in southern Japan. Japan has a massive space programme and has achieved successes in both scientific and commercial satellite launches while also sending astronauts on space shuttle and International Space Station missions. I am also bummed their satellite is not working properly. I am positive that they worked their hardest on this project and are deeply dejected because of the outcome. No one is perfect. I am sure it will go better next time. This is a huge black eye for JAXA. Does anyone know how much of the cost is development as opposed to fabrication and launch? Would it be relatively cheap to just build and launch a new one?